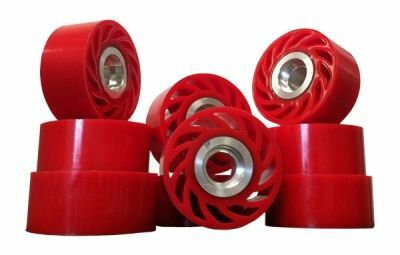 Backed with experience and knowledge in the field of manufacturing, exporting, supplying wide range of Polyurethane Rubber Roll in different cities of India such as Pune, etc. Our offered range of Roller is mostly used by Textile, Paper, Rubber industry, Cracking mills, garments industry, Flaking mills, Steel industry, Flour mills, and various other commercial industries, factories make use of our roller for diverse purpose. As it satisfies the need of customer at industrial level,to meet industrial rule offered product is cost effective ,efficient,multi purpose it is used.